An exhibition of collages will be displayed at UNIT 51 in Liverpool’s thriving Baltic District from Monday 28th November til Friday 9th December, 2016. 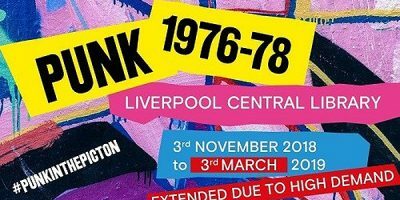 Artist Philip Hayes will be showcasing large scale examples of his work that have been inspired by Liverpool icons such as The Farm, Cast, The Cavern Club, Cream, as well as Merseyside festivals, Sound City, Threshold Festivals, and Liquidation Club Night. Hayes began making collages around 2004, drawing on the wealth of material he was amassing during the 25 years he worked as venue manager for The Picket and as a festival organiser. He used this huge variety of images (posters, flyers, tickets) and photographs to create collages based around a theme, person or topic. His previous pioneering projects in the city have included setting up a community access recording studio for unemployed bands – working with the likes of The La’s, Pete Townshend, Paul Weller, Paul McCartney and Yoko Ono. Hayes was also responsible for opening the first venue in Liverpool’s Baltic District in 2005, with performances by Deaf School, Elvis Costello, Mick Jones, Pete Wylie and The Farm as part of the Justice tour for Hillsborough Families. “Lennon’, – for sale, plus limited edition prints available at the exhibition. “The Cavern”, famous Club in the World- sold to the Cavern club, limited edition prints available at the exhibition. “A Terrible Beauty is Born” – Two pieces created to celebrate a book based on the work of Belfast muralists- sold, included in the exhibition. “Liverpool: Wondrous Place” – borrowing the title of Billy Fury song and the book by Paul Du Noyer, this work celebrated Liverpool’s culture and creativity- sold. 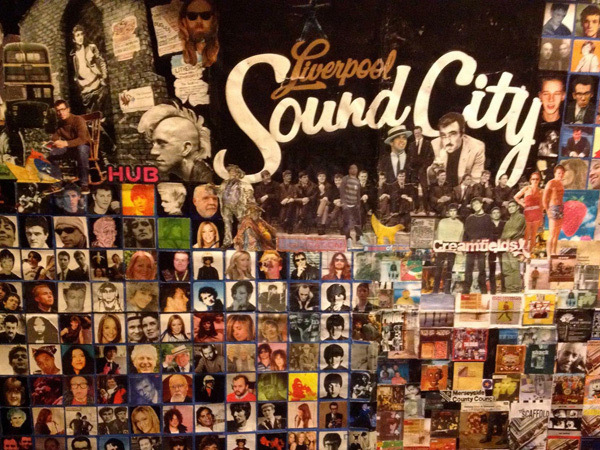 “Sound City” – a piece for the famous Liverpool festival-sold, included in the exhibition. “The Farm” famous for the classic, “All together Now”, and for the bands support for community campaigns including the Hillsborough justice campaign- sold, included in the exhibition. “Liquidation Club Night’ -Liverpool’s longest running indie club night, staffed by delightful folk who love their music. Sold, included in the exhibition. “We Never Walk Alone” – in memory of the 96 people who died at Hillsborough- FOR SALE. Collage Creations opens on 28th November at 1pm and will run until 9th December, Monday to Saturday, 9am to 5pm.